WE SEEK TO PROMOTE A NEW EPIC MOVEMENT FOR COPPER AND OTHER MINERALS AS ESSENTIAL PRODUCTS FOR A WORLD THAT IS MORE SUSTAINABLE AND BASED ON CLEAN ENERGIES. WE ASPIRE TO BROADEN THE CONVERSATION AROUND MINING, ADDING MORE AND NEW PLAYERS TOWARDS ITS ANALYSIS AND DISCUSSION. WE BELIEVE IN THE POWER OF NEW GENERATIONS AS MAIN PROMOTERS FOR THE CHANGE MINING NEEDS IN ORDER TO BE A MORE DIVERSE, INCLUSIVE AND INNOVATIVE INDUSTRY. WE SEE THE WORLD AS OUR MAIN ALLY IN DEVELOPMENT, STRENGTHENING TIES WITH INDUSTRY AT A GLOBAL LEVEL. WE COLLABORATE FOR CHILE TO CONTINUE TO BE A MINING LEAD AND MAIN COPPER PRODUCER IN THE WORLD. WE ARE OPTIMISTIC TOWARDS THE FUTURE OF COPPER AND OTHER MINERALS AND THEIR CONTRIBUTION TO TECHNOLOGY DEVELOPMENT, URBANIZATION, ELECTROMOBILITY, ENERGY STORAGE, DECARBONIZATION OF ECONOMY AND IMPROVEMENT FOR PEOPLE’S QUALITY OF LIFE. In order to safeguard independence and objectivity of actions and activities, Cesco funds come from international sources, academic activities, public funding for the development of independent studies, competitive funds and private contribution from our members, as well as events we organize on a regular basis. 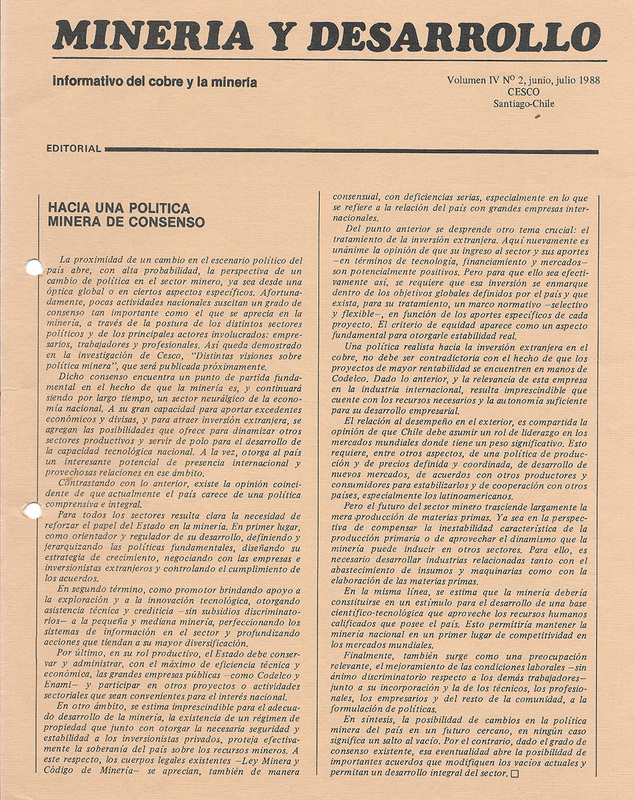 Cesco was founded in 1984 as a private, nonprofit entity aimed at identifying and propose alternative solutions to issues faced by mining development. 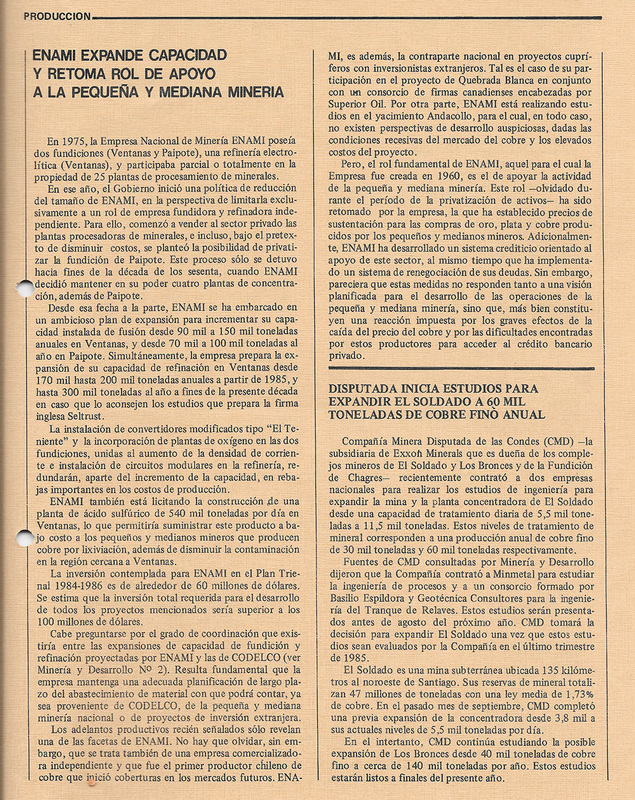 Founding partners were a group of people linked to the mining world that focused on discussing around the creation of the new Mining Code, issued in 1983, international investment in this sector, privatization of deposits and new policies on mining resources. 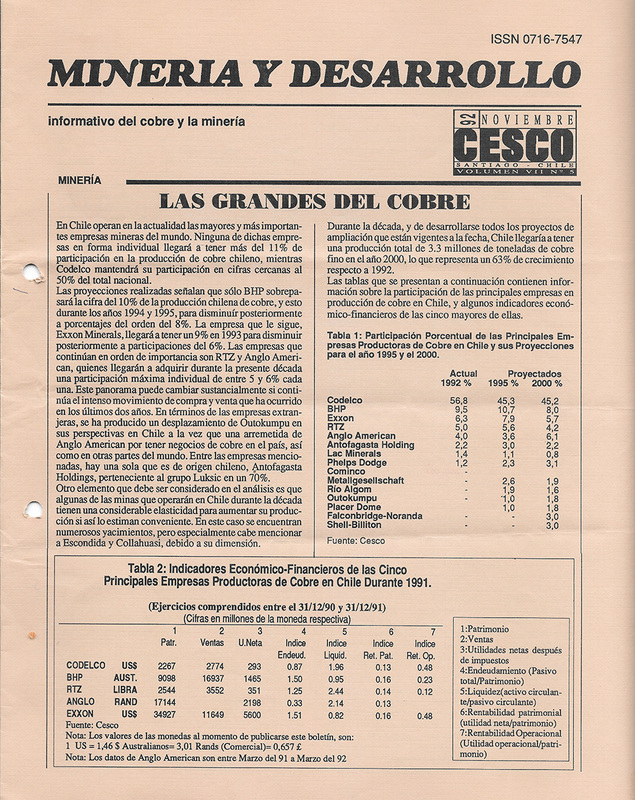 From the second half of the 1990s and until now, Cesco holds the so-called Cesco Dinner, which has been positioned, throughout these years, as one of the main encounters for national and international mining. 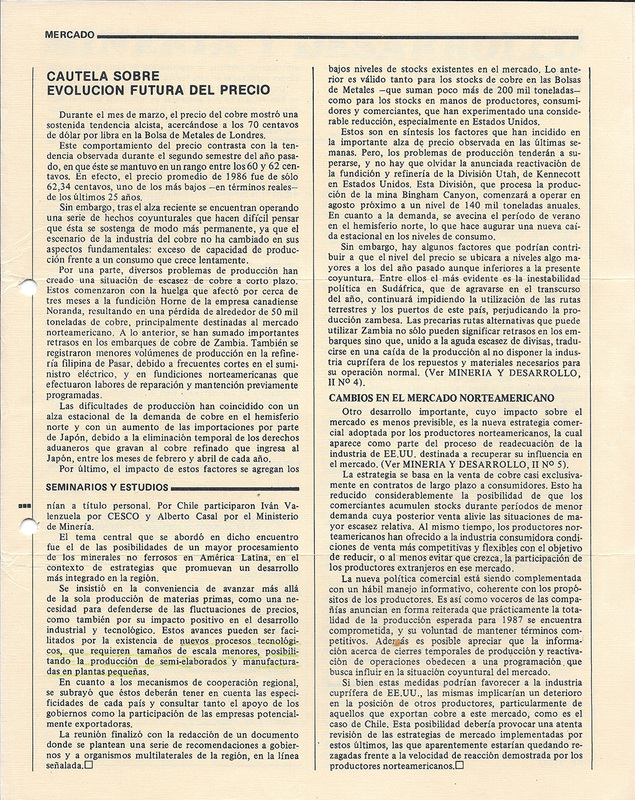 This was then starting to expand and include other encounters, giving life to what is known today as Cesco Week Santiago, held at the beginning of every year. 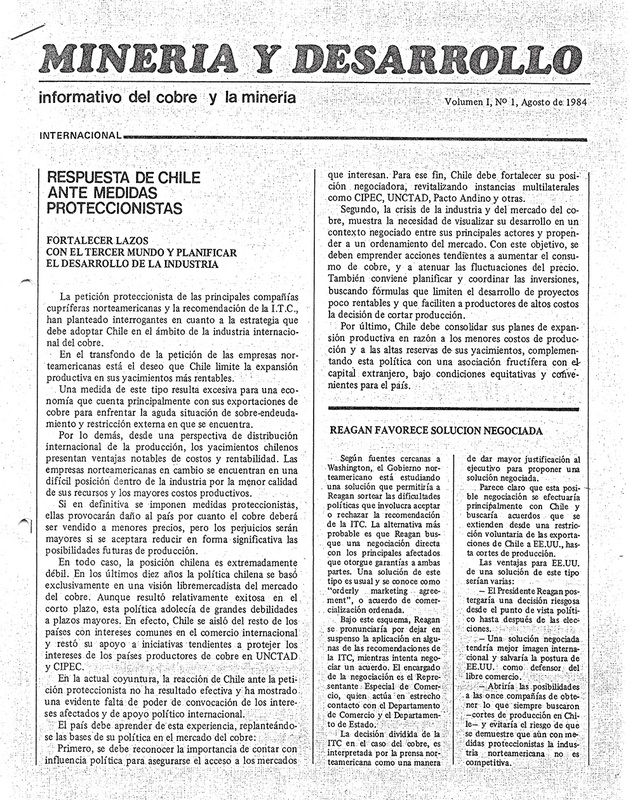 In the field of incidence, and on the occasion of the celebration of 30 years of this organization, in August 2014, Cesco presented a position paper called “Mining as a Platform for Development: Towards a Comprehensive and Sustainable Relationship of the Mining Industry in Chile”, which served as an input for the strategic agenda of Mining Value and the National Program of High-grade Mining. Commercial Engineer specializing in Economy from University of Chile. 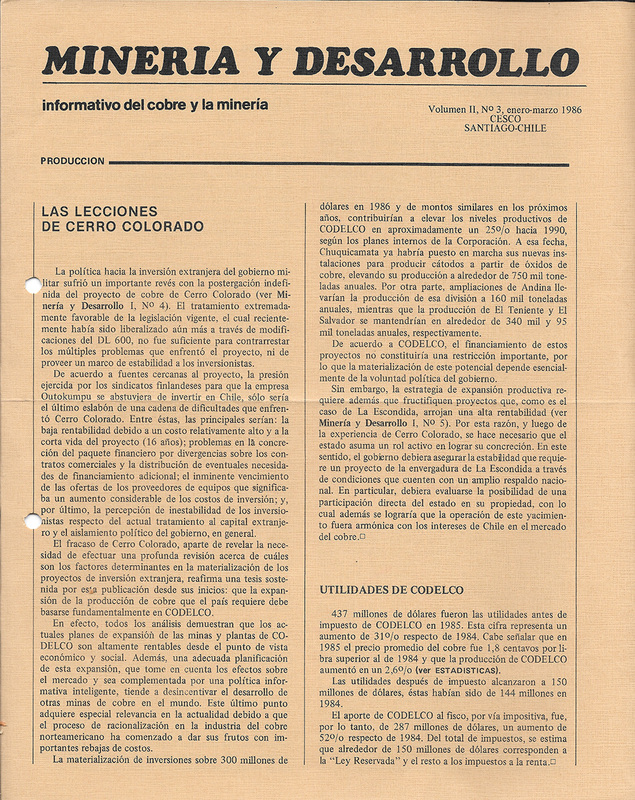 He worked for the Codelco’s Marketing Department as an Advisor and was responsible for unrefined material sales. 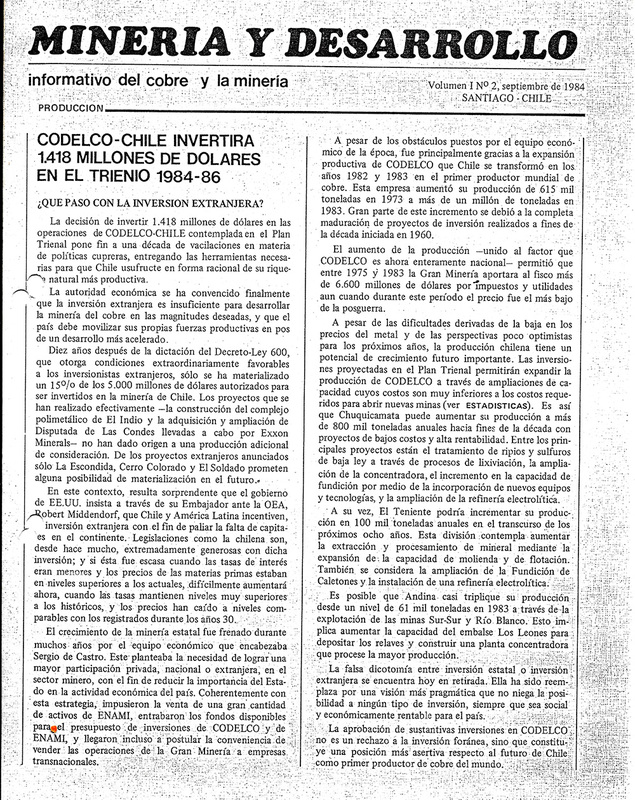 He was an Advisor for the Chilean Commission for Copper (Cochilco), Board Member for San Antonio’s Port Authority (Epsa) and Correos de Chile (Chile Post Office). He has also worked as a consultant for casting and refinery companies such as Caraiba Metais from Paranapanema Group and Mineracao Caraiba (Brazil); as well as Birla Copper (India). He has been an agent for several companies for marketing of non-ferrous metals and minerals and participated in the creation of companies in Chile and Brazil. He is currently the President for Sudmetal, South American Metals Company. Marcelo Olivares is a Lawyer from the University of Chile, MA in Natural Resources and Environmental Rights from University of Denver. He completed the lawyer instruction program from Harvard Law School. 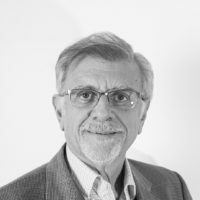 He is a Professor of Mining Law at the University of Chile and Mining Legislation for the MBA Program of the Industrial Engineering Department and Pre-graduation Department of Mining Engineering, both from the Faculty of Engineering from the University of Chile. He has participated in the implementation of several mining project with foreign and domestic investors, at exploration, construction and operation stages. 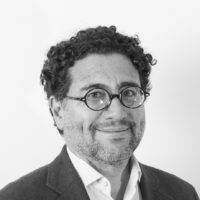 He is a partner at Quinzio + Anriquez Novoa Law Firm and is the Vice President of Legal Affairs for Andes Iron. Civil Industrial Engineer specializing in Mining and Master in Engineering Sciences specializing in Economy, both from Pontifical Catholic University of Chile. He served as a Studies’ Engineer for the Vice-Presidency of Planning & Mining Resources from Minera Escondida, being part of the graduate program from BHP Billiton. 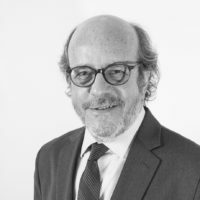 He worked as a Senior Analyst of Markets and Public Policies for the Directorate of Studies & Public Policies of the Chilean Commission for Copper (Cochilco). He also worked as a Project Engineer for the Vice-Presidency of Operations of Antofagasta Minerals S.A. and as a Superintendent for Planning & Development at Minera El Tesoro Ltda. 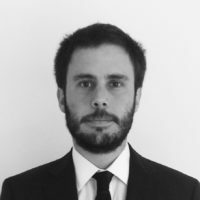 He currently works as a Mining Resource Evaluation Teacher for the Mining Engineering Department of Pontifical Catholic University of Chile, and is doing a PhD in Financial Geology at the University of Chile. He is the Director of Cesco for a second consecutive period. He has performed research and consultancy work for minerals and evaluation fields in mining projects. He is one of the founders of CESCO and was its first Executive Director. He is currently the Director for Antofagasta plc and Antofagasta Minerals. He is also the Director for Next Minerals and a Teacher for the Post Graduation Program in Mining Economics of the University of Chile. He previously was the Director for Codelco, ENAP, ICARE, Inversiones Aguas Metropolitanas (IAM) and BUPA Chile. He was a member of the Committee of Copper Experts of the Chile Ministry of Finance and for the Metals & Minerals Committee for the World Economic Forum. He has also been the Director for Minera El Tesoro, Equatorial Mining Ltd., ENAMI, Aguas Andinas, EC-L and GNL Mejillones. 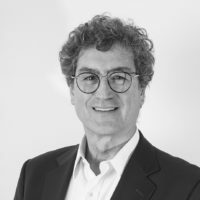 Between 1995 and 2016, he was the General Manager for AMP Chile, one of the main institutional investors from Australia, and between 1990 and 1994, he was the Development Vice-President of Codelco. 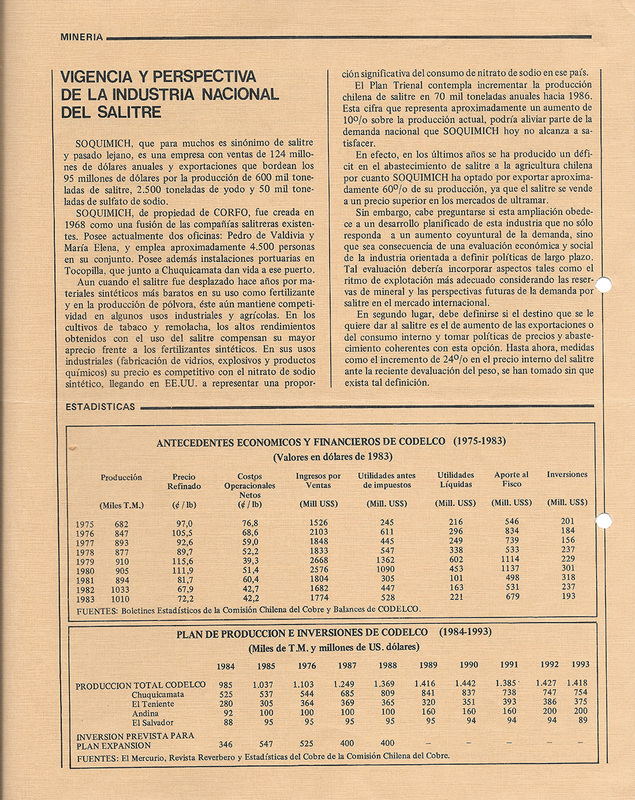 He received his Bachelor’s and Economy Master’s Degrees at the American University, and studied economics at the School of Economics from University of Chile between 1971 and 1973. Commercial Engineer from University of Chile, Master in Financial Development from the Catholic University of Peru. He has 30 years of experience in the mining industry. He is currently the General Manager for EcoMetales Limited, a subsidiary company of Codelco. 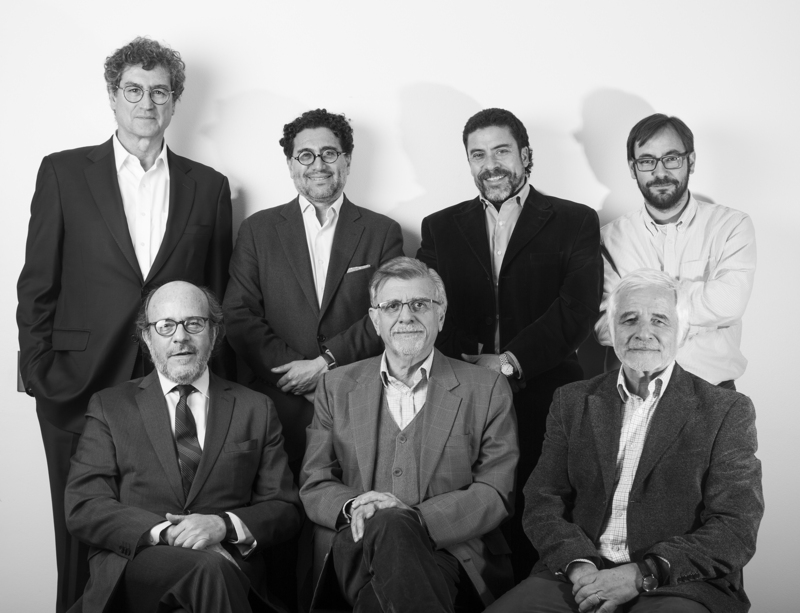 He has been a Director for the branches of Codelco Biosigma and Molyb, and President of the Institute for Complex Systems of Valparaiso. In the 1980s, he was a founder of CESCO. 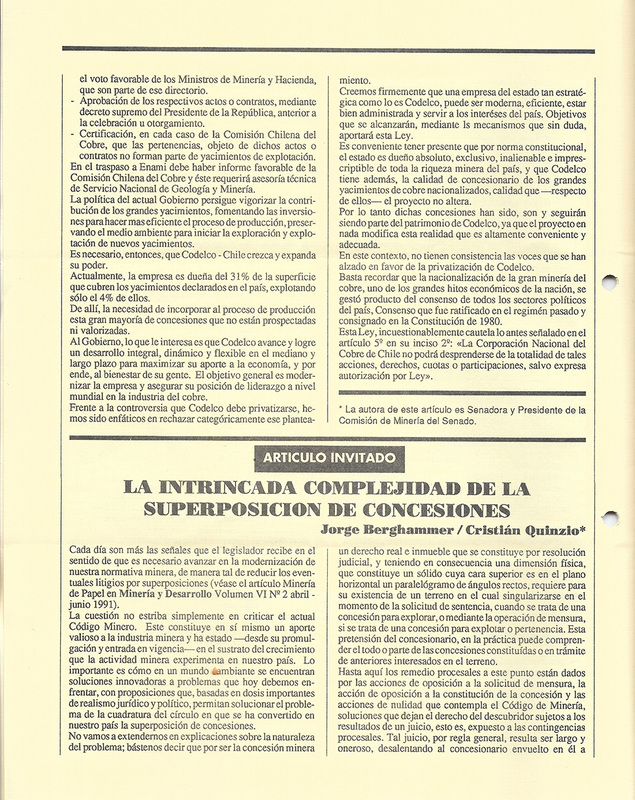 In the 1990s he served as an Assistant Secretary of Mining and Vice-President of Explorations & Mining Associations of Codelco. His main motivation is how to transform the Chilean mining industry into a powerful driving force for the sustainable development of the country. Mining Civil Engineer from University of Chile, practicing since 1991. He holds a Master’s of Sciences in Mineral Economics Degree (1994), received at the Colorado School of Mines (USA). His professional development has been focused on company management, mining planning and project management. 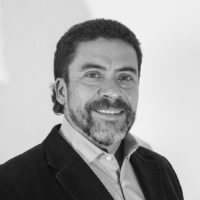 He worked for Division El Teniente from Codelco Chile, in other to furtherly hold executive positions at its Headquarters as a Director of Mining Planning from 2002 to 2006 and as a Corporate Manager of Mining Resources from 2006 to 2007. At the end of 2007, he became a partner of Metalica Consultores S.A., as a General Manager. TetraTech Inc. acquired Metalica on the second half of 2011, keeping Mr. Azocar as its General Manager. He is the Director of Minnovex AG, a holding of mining supply companies focused on innovation. 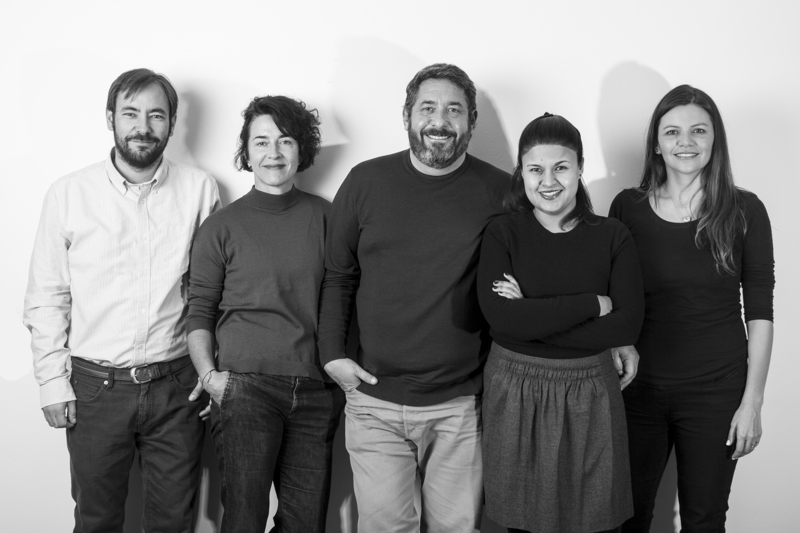 He also served as a Director for Metalica Consultores S.A. from 2008 to 2011, and is also an Ad-honorem Teacher from the School of Physical and Math Sciences from the University of Chile. He served as a Vice-President for Business Development & Corporate Affairs of Next Minerals until October 2017. Until June 2013, he was the VP of AACC & Business Development for Xstrata Copper. 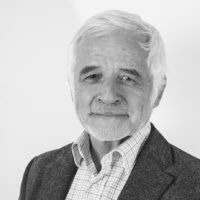 He has had a successful career in the mining industry, with remarkable roles held as an Explorations’ Manager for Antofagasta Minerals, as well as the geology work developed at El Teniente and Salvador Divisions from Codelco and La Coipa Mine, which are currently part of Kinross Gold Group. During all his career, Nicolas has developed an extensive contact network both nationally and globally, supporting business development in the mining industry. 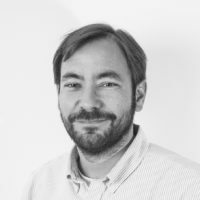 Nicolas is a Geologist from University of Chile, with studies in Mineral Economy at the Ecole Des Mines de Nancy, in France, and specializing in the Assessment of Project & Mining Resources. Nicolas is also a competent person from AusIMM (The Australian Institute of Mining and Metallurgy). He serves today as an independent mining consultant, focused on Mining Explorations, Business Development and Corporate Affairs. Mining Engineer from University of Chile and Master of Mineral Economics from the same university. He is currently doing Post Graduation studies on Mining & Finance. He previously served as a Project Engineer at Celta Consultores and worked at Mineria Activa, particularly for Biolantanidos Project.